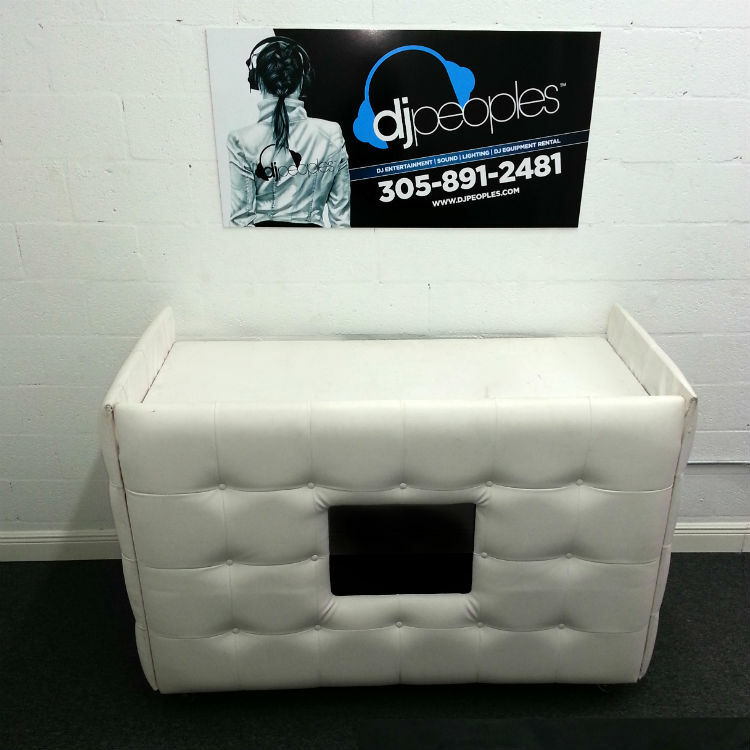 White Tufted Leather DJ Booth Rental with Media ScreenRent this DJ Booth for Events in Miami or Ft Lauderdale. 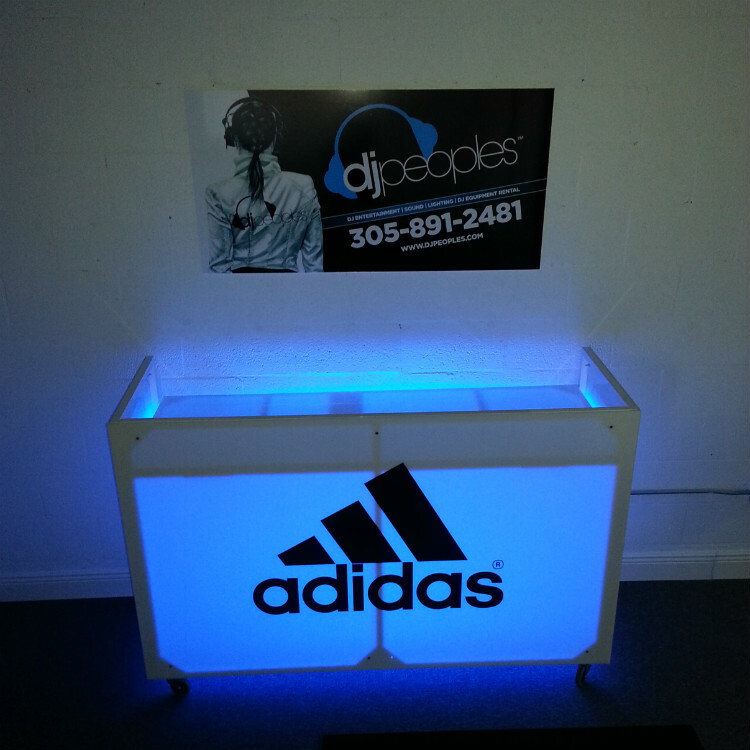 Designed and constructed by DJPeoples this DJ booth has been constructed to be portable and extremely functional for pro djs . 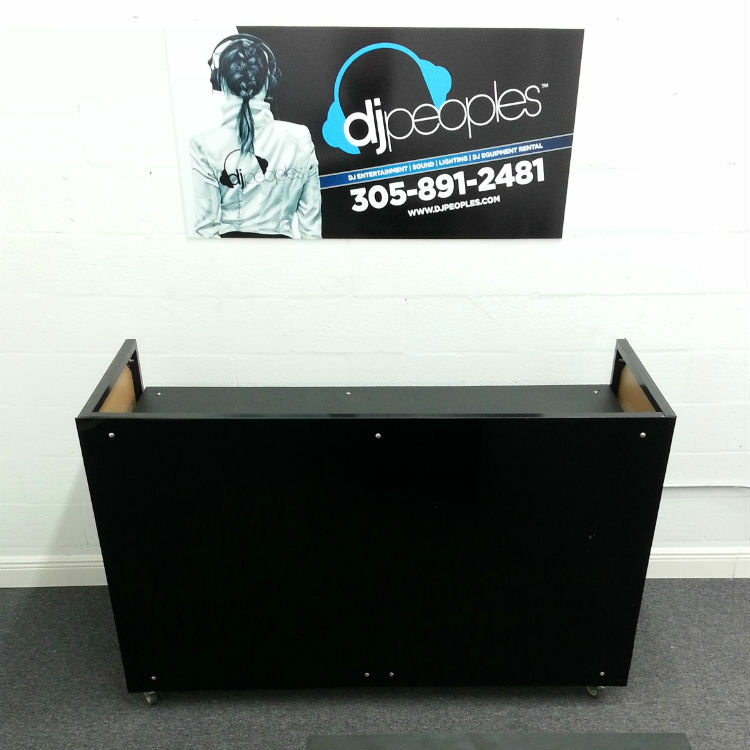 This DJ booth has onboard power and features an equipment desk that measures 30″ deep x 60″ wide. It easily fits two players and a mixer of any sort. 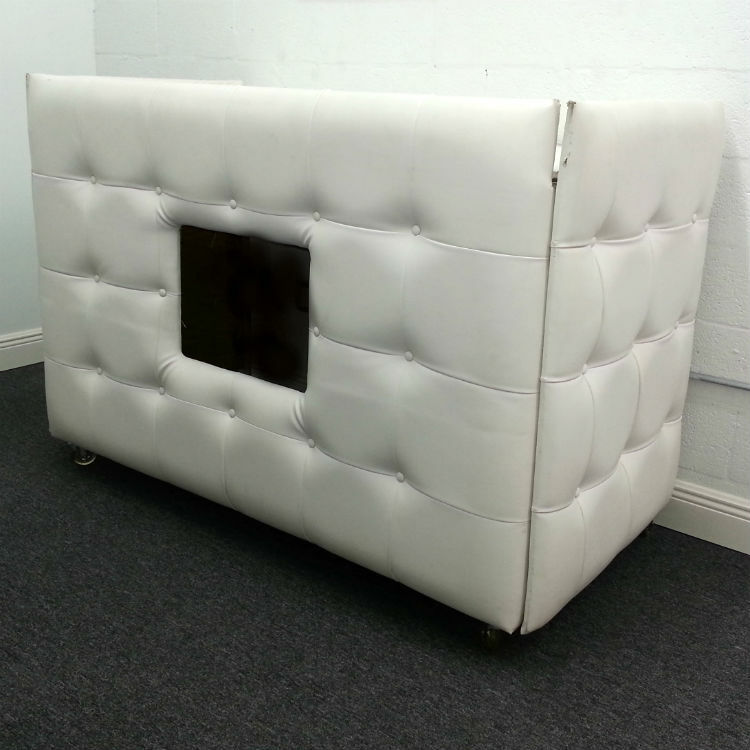 Tufted in gorgeous white faux leather the design is perfect for high end weddings as well as event where branding is a necessity. 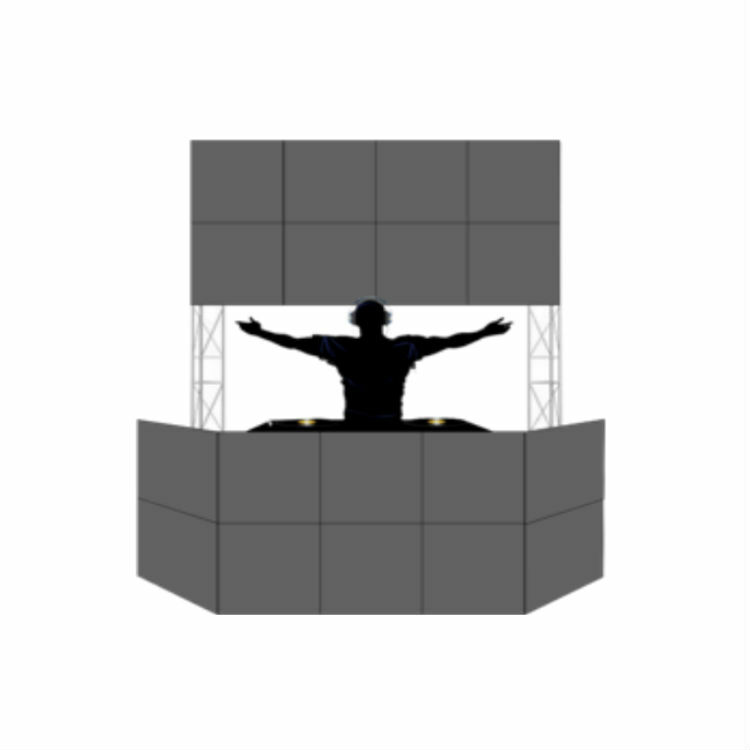 The dj booth comes with a 20″ media screen which renters can use to play dvd videos or use the various inputs to play media on the screen. All wires are hidden in recessed panels underneath unit. 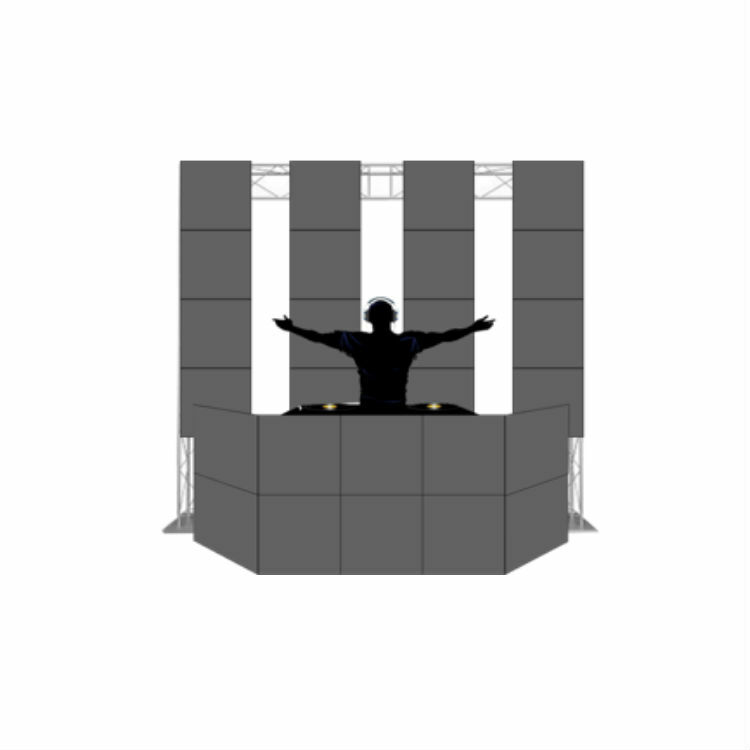 the dj booth is a clean and classy way to ramp up you special event.